It is so simple and works great. They continue to make improvements. RP is awesome! I’ve been using the app for about 2-3 months, and I’m really glad they updated it so you can mix and match proteins. Overall I’ve been really liking the app, especially with how easy it is to get back on track after a missed meal. The only thing I’d like to see changed is a way to adjust what time of day you start eating. I’m up anywhere between 0430-0600, but I don’t after eat until after 1100 or later. I get around it by adjusting my “wake up” time to 1100. I LOVE this app! I am an average 49 year old female CrossFitter and try to maximize my performance through healthy diet and smart training. I’m not overweight but was hoping to gain muscle and gain strength and endurance. I’ve PR’d lifts every week and now going to start a cut phase to show off those gains during bikini season! 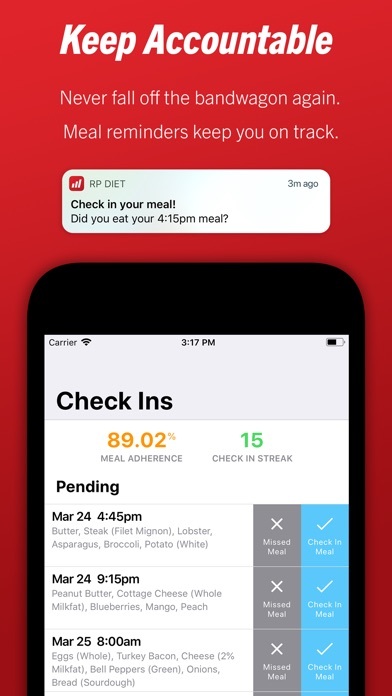 The app makes it easy to eat the right amounts of the right food at the right times. 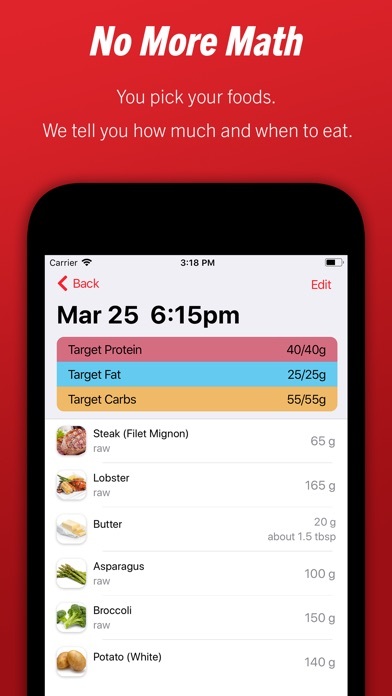 In the few months I’ve been using it the app has been updated and improved to be able to copy meals and lifestyle from one day to another which I love! 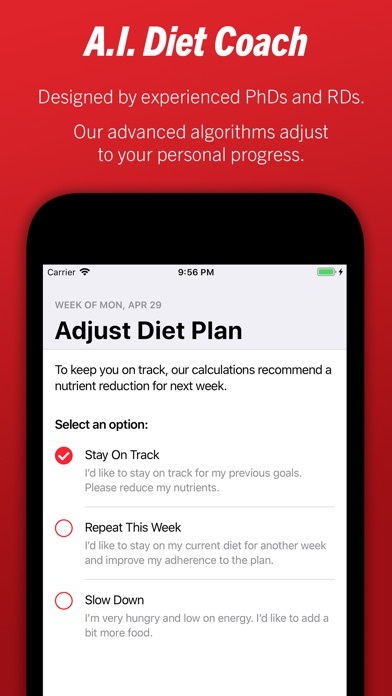 I love that it asks if I want to stay on track or change when my weight fluctuates so that I can choose my own path. Great app, great diet, stellar results!! Thanks RP! I'd love to try this app out again when they have a feature that works around a night shift schedule. 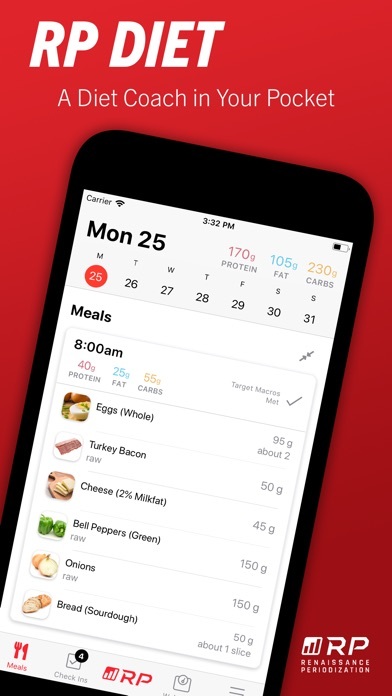 As of now, you cant plan your meals based around your normal schedule and workout times because they're about 12hrs off. I got frustrated trying to cheat around the times and ended up finding I just couldn't make it work out for me. Would try the app again if they fixed this.